With malware on smartphones an unfortunate reality, it's no wonder that so many people choose to protect themselves with antivirus apps. But Google's Android Security Chief, Adrian Ludwig, says there's not much point in the average user downloading any of these. In fact, he reckons they're pretty useless. "I don't think 99% plus users even get a benefit from [anti-virus]," he told the Sydney Morning Herald. "There's certainly no reason that they need to install something in addition to [the security we provide]. If I were in a line of work where I need that type of protection it would make sense for me to do that. [But] do I think the average user on Android needs to install [anti-virus]? Absolutely not." Other platforms certainly aren't immune to malware, but Android is by far the biggest target. 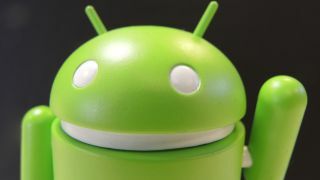 In fact, a recent report by F-Secure claimed that 99% of malware was aimed at Google's operating system. For people sideloading apps it's a different story, but Ludwig seems confident that Android itself is its best protector for the average user, despite the fact that Android has occasionally failed to notice some fake apps slipping through the net. What's new with Android L?